The axe and shovel are two essential tools for any off roader and with this mount, they can always be conveniently within reach on the factory roof rack. Once the axe and shovel are installed a lock can be placed on the threaded supports. This axe and shovel bracket is specifically designed to attach to all BajaRack roof racks. 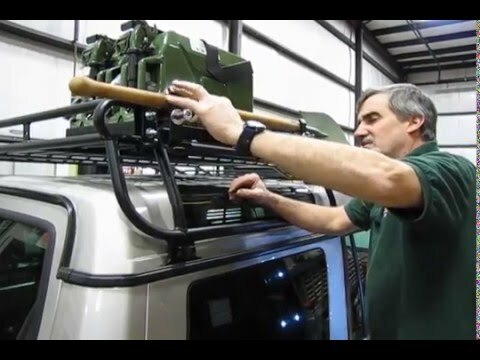 Watch Doug, our Land Rover Master Technician, in Part Six (Extra 3) of our video how-to series, as he adds the Baja Rack Axe and Shovel Bracket to the Baja Roof Rack on our project D2. Please note the Shovel is sold separately as SLI515. Please refer questions and comments about this video to 1-800-533-2210 or contact us via live chat.